Forward-looking: After most smartphones' rear camera arrays jumped from a single lens to two, many companies started going with the ‘more is better’ approach. Today, we’ve got phones with three and four cameras on their backs, but where will it end? If an LG patent ever turns into an actual product, expect to see a device with an incredible 16 rear lenses. 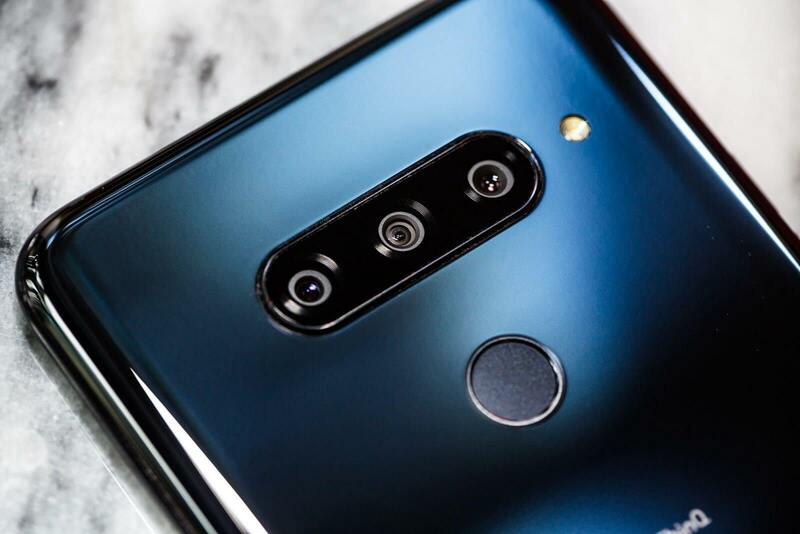 LG’s V40 ThinQ is one of several smartphones to come with a triple rear camera setup, but the company could have grander plans. A recently filed patent from the Korean firm, first spotted by LetsGoDigital, shows a smartphone with 16 lenses on the back. The cameras will be arranged in a 4 x 4 grid squashed into the top corner of a device. The patent offers suggestions on how it could be implemented using different curvatures, with the array bulging out of the back. The cameras point at different angles, letting users pick the best photo or combine all the data to create either “moving images” or a single image. All those cameras might also allow users to manipulate their photos. In the example below, it shows how the head of the subject—in this case, it’s a teddy bear—can be rotated to different angles, thereby improving the picture. You could also replace someone’s head by drawing around it with your finger and allowing the AI to find a better shot. For those who want to use all those lenses for selfies, the phone comes with a mirror on the back. Boasting 16 cameras and an actual mirror, it sounds like the the handset would certainly appeal to Instagram narcissists. As we keep repeating: few patents end up as actual products, but this one might not be as outlandish as it sounds. Camera maker Light introduced the L16, a “multi-aperture computational camera” that features 16 lenses back in 2015, and it’s reportedly working to bring its tech to smartphones. There's also a handset featuring five rear cameras being developed by Nokia, so a 16-camera handset could one day become a reality.